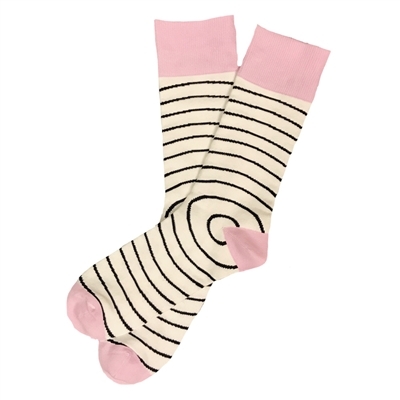 Thie white and pink sock has a never ending design that will start many conversations. This sock was designed by Chloe Hubler. Chloe Hubler was 1 of 3 design winners voted on during The School of Sock 2017 Design Contest.